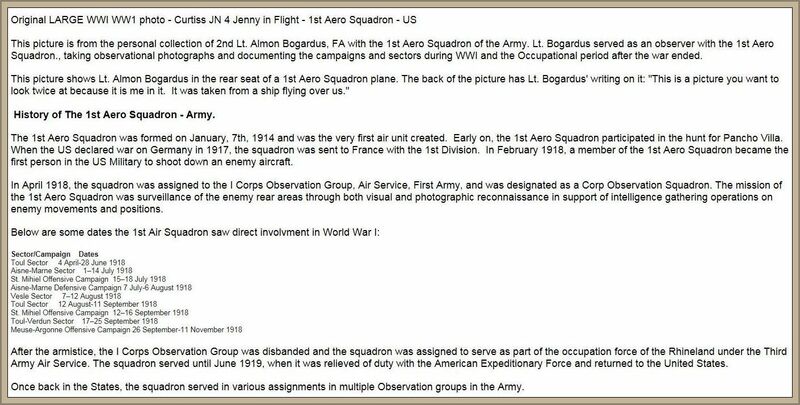 The following commentary that Dr. Bouilly discovered along with the Bogardus Jenny photo seen above is in a non-text JPG (Photo) format, so in order to easily read it, just click anywhere on the text you see inside the sepia toned frame that follows below and it will be enlarged to full (readable) resolution. Please take note of the fact that some of the above referenced notation material is incorrect. 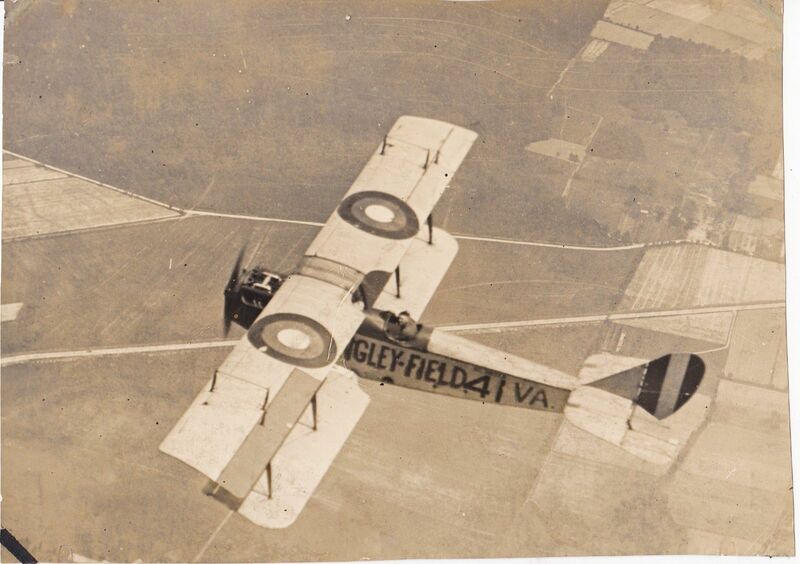 The 1st Aero was formed in 1913, not 1914, for instance. This entry was posted in AVIATION NEWS on June 8, 2016 by FASFRIC.